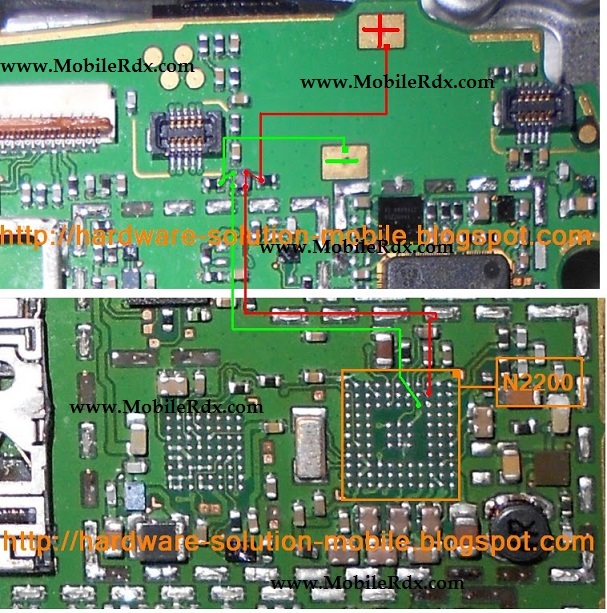 This post is for Nokia 5233 Ear Speaker Problem Solution. If your speaker AKA Earpiece is not working make the jumpers as shown in the diagram below to solve this problem. Before doing any hardware solutions make sure that your earpiece is not busted, replace it with a new one. Also clean the speaker connection points and the general area around it to make sure that moisture or carbon is not causing this problem. 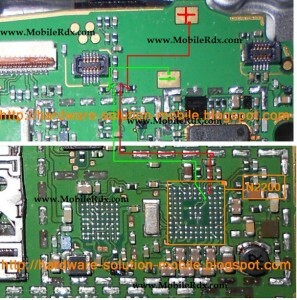 I have marked Nokia 5233 Ear Speaker Track Ways Jumpers in the following diagram. thanhk you boss, try to jumper getr problem solve.